DICKIE pays lip service to a narrative. You're an interstellar traveler capable of moving through hyperspace without a ship. You sense a disturbance on an oncoming planet and touch down, finding it infested with Hellspawn. After killing the big boss in DICKIE01, throwing their army into disarray, you spend the rest of the maps journeying to the other sites of demonic activity, purging them one after another until DICKIE10, where you enter Hell and eliminate the source that powers their invasion. It's a long ride through a selection of differing locales, but Wiles succeeds in giving each level its own, coherent theme, rather than an assemblage of contrasting texture schemes in each map. It may not leave the levels with a feeling of unity based on looks alone, but a cursory look at Wiles's architectural and gameplay stylings reveals the underpinning similarities. Richard Wiles favors challenging gameplay, often putting the player in inescapable situations that must be conquered on their own terms rather than allowing one to simply draw enemies into fatal funnels with his or her superior cover. They're not impossible, by any means, and not sudden enough to regularly kill players who lack any foreknowledge. Another favored design element employs layouts that create the illusion of three-dimensional space much in the way The Innocent Crew did, using elevated tiers of play the player leaps between, and a few constructions that control such gameplay flow more precisely. There isn't a lot of puzzle play I'd call challenging except where deliberately so (i.e. DICKIE08). Overall, the series is a great collection of single Doom II maps that do much to extend the shelf life of the original .EXE. DICKIE01 begins in the thrall of hyperspace before you drop onto a planet rife with Satanic forces. Luckily, your landing sets you near the brains of the operation, allowing you to strike the deathblow at the very beginning. The base appears to be some kind of marble temple set into the mouth of a volcano. Very James Bond, if Bond fought witless Hellspawn and supplanted his gadgets for super speed and lethal weapons. 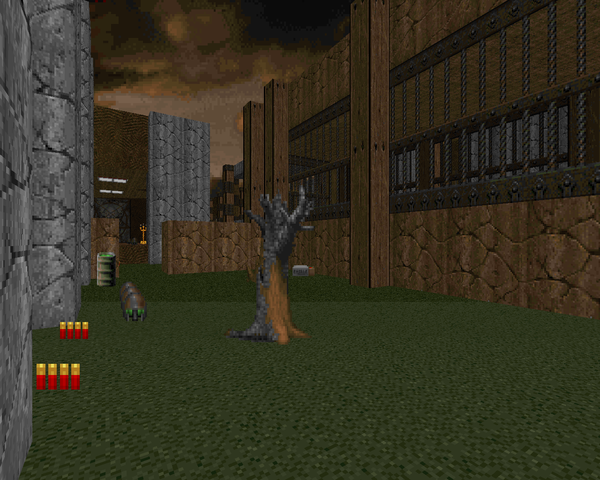 Wiles shows that he's capable of convincing (if not flawless) special effects, and though some of the combat feels awkward when you're limited to the normal shotgun, most of the fights and traps are compelling enough, like the challenging SSG balancing act or a furnace from which a veritable horde emerges. The boss shooter requires just a little finesse; nothing too threatening. 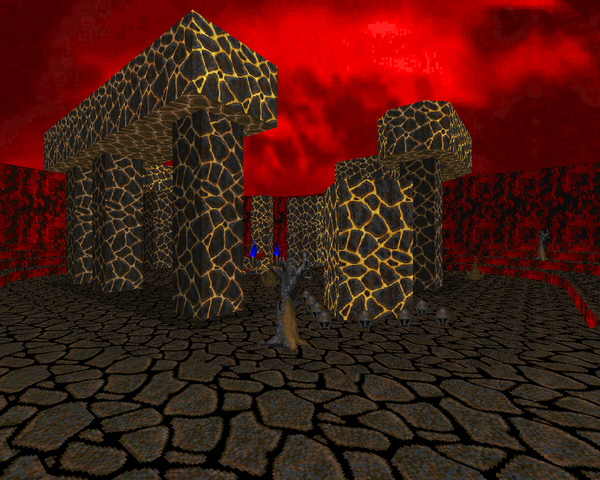 The second map in the series primarily takes place in a dark metal techbase set into a granite rock mountain range, much of which is flooded with blood, in keeping with Wiles's theme of a natural world suffering from infernal corruption. 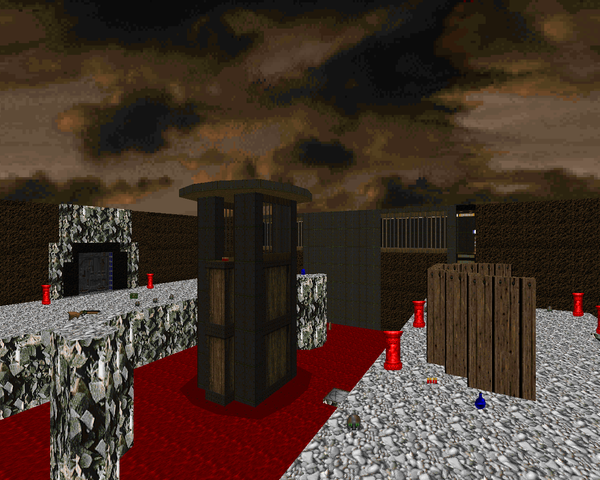 DICKIE02 is just as harsh as other maps in the series, illustrated best by a teleporter trap triggered upon escaping the opening caves, placing you directly into the fray with underpowered weaponry. The outdoor areas break up the actual base sections quite nicely, and though it lacks the visual tricks of DICKIE01, the layout and architecture are solid (if plain). I especially like the staircase that drops into the blood waterfall. My only caveat - the blue key / SSG decision precedes a ton of backtracking if you want both (and you will!). DICKIE03 treats you to some ancient ruins that evoke the Plutonia style, with beige brick, green grass, and plenty of tough monsters crawling around. It's got a fairly obvious hub-style layout where the player returns to the central courtyard / pathway combination after grabbing each key so that you can fight on, further into the infested structure. 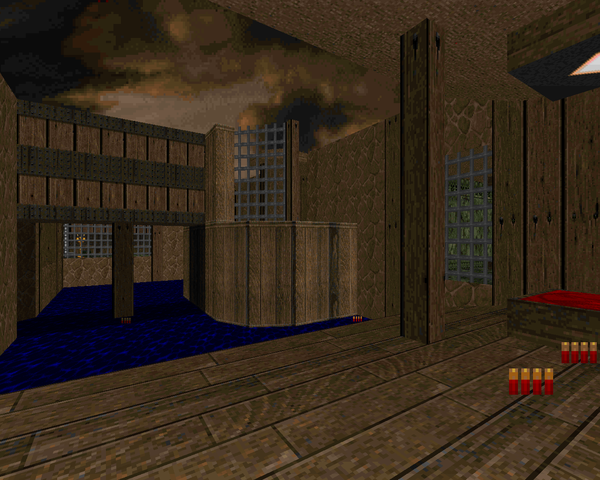 I like the simplistic architecture, though there are some more complex overtures, like the dual staircases in the map's eastern side, and you can pick which way you want to assault the blue key wing. It's a more sedate offering than most of the other DICKIE levels, though the Tyson-style gameplay it opens with may be unfamiliar to many. At the very least, the final room is chock full of action. Richard Wiles's fourth map ever released is an intriguing blend of dark metal techbase interiors, walling in a lot of fiery waste, and outdoor areas, which feature texture combinations that leave you with the feeling of standing knee deep in the dead. DICKIE04 shows some more intricate design choices. It's potentially difficult to navigate, with a lot of routes that require daring leaps, with the most interesting element (in my opinion) being the elevator that controls access between the upper and lower levels of an intersection. It's got some tricky fights, like a handful of arch-viles (some of which are easy to deal with by the grace of the author), with the standout perhaps timing your visit to the fiery moat with a rad suit as you dodge enemy fire from multiple angles. The fifth map in the DICKIE series is one of two to bear an official title, this one alternatively titled "Waterworld". To me, it's a different take on "The Inmost Dens", with the ground level composed of channels of water running everywhere, over which you will vault to and from a plethora of precipices, both beige stone and wood. Unlike "Dens", you will start ankle-deep in the drink and up to your eyes in Hellspawn. There are some neat traps, like a cage of regenerating chaingunners you have to tiptoe around, and several challenging fights like the pistol start (which Wiles himself admits is pretty brutal, especially for the unprepared) or the outdoor encounter near the level's end, after which you'll have to creep across the fences spanning the yard on little cat feet. Appropriately enough, Wiles's sixth map of the DICKIE series carries an alternate title of "Hell Henge". 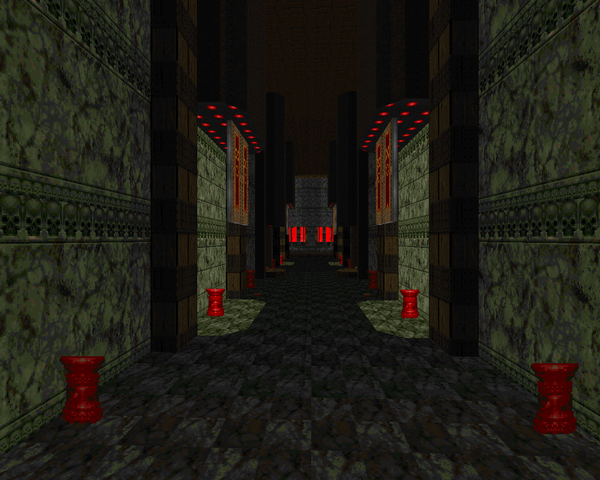 It's one of the few levels whose texture scheme suggests an explicitly infernal location. 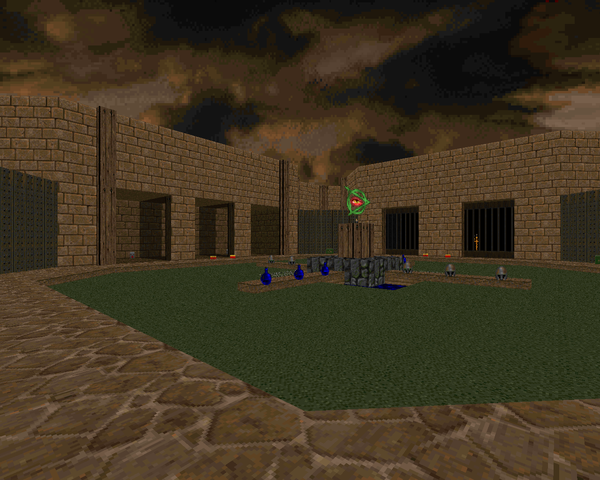 Much of the map showcases dark red stone red brick labyrinths with flickering flames. 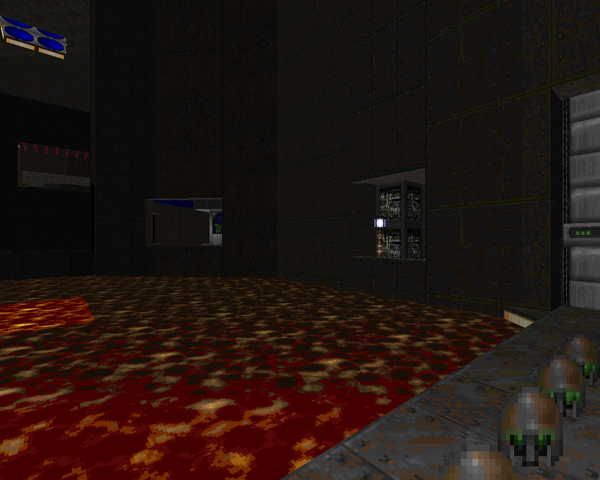 The eponymous monument is fashioned out of a molten texture iconically associated with Doom II's "The Spirit World". If you can make it past the frustrating chambered maze near the map's opening, where lost souls emerge from every wall cubby, you'll find a plethora of interesting encounters, most of which leave the player feeling cornered with little or no safe ground to maneuver on, whether it's due to tight corridors, objects cluttering the battlefield, or small strips elevated from the lava. DICKIE07 clearly draws inspiration from id's own Thy Flesh Consumed, whether one sees it in the ominous orange sky or the mixture of marble and metal that makes up most of the architecture you'll be crawling through. It's a typical Wiles map, from the rough pistol start in which it opens to the numerous fights you have to blunder into and several spots where you cross earlier areas at a different tier of action, with one prompting a surprising ambush (well, it surprised me at least). It's a little challenging to explore, like DICKIE05, but I welcome it. Some spots feel like hitscanner Hell, especially the large red key area (Wiles's pride and joy), but there are some very neat fights to experience, like the Cyberdemon battle, my personal highlight. Wiles decided to go in a bit of a different direction with DICKIE08. It's a puzzle map, probably closer in style to DICKIE04, but adds another level of challenge that brings it closer to the difficulty that fans of Jim Flynn and Bob Evans can appreciate. Aesthetically, it's a mix of underground, dark metal sewers paired with some classical beige brick ruins occupying the south and west areas. Regardless of the three major puzzles, Wiles doesn't skimp on encounters. 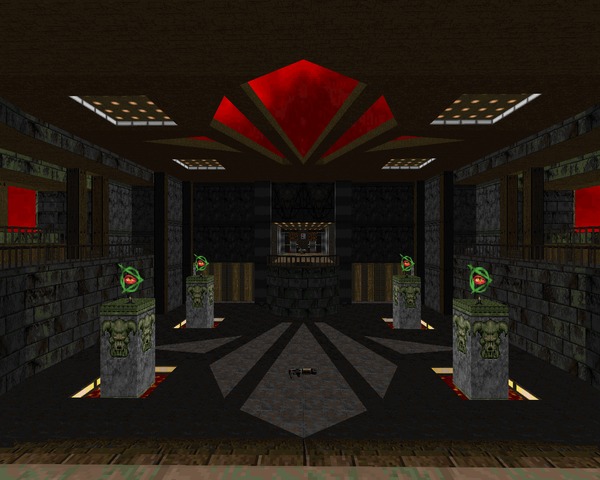 You run from a pack of demons into a building where every wall appears to collapse, revealing more and more zombies, not to mention areas like the yellow key room which combines platforming with harrying fire. Expect a few cheap shots, including an instant death trap or two. 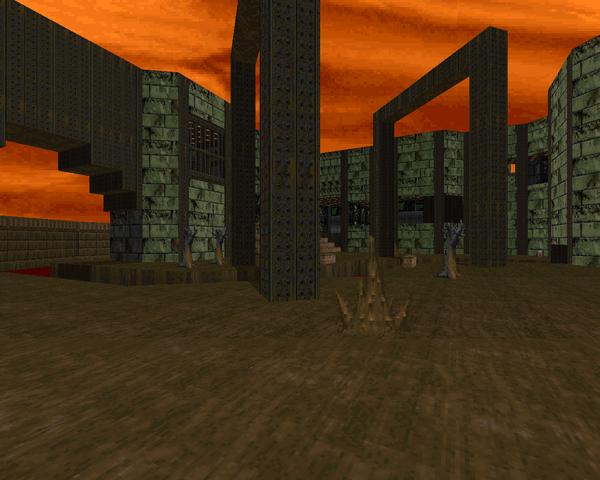 After all, it's purportedly in the spirit of Doom II's "Tricks and Traps". DICKIE09 is a return to basics. 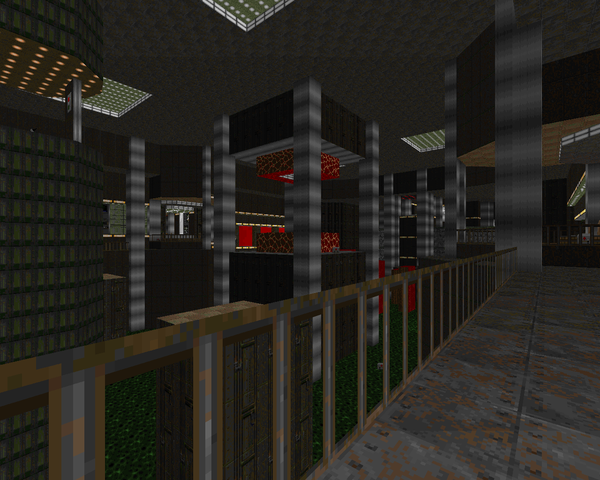 It has a fairly uniform texture theme that suggests the classic Doom II style without looking anything like it. I see shades of "Circle of Death", myself. Though the player's path is ultimately linear, your route doubles back and over itself several times, with many of your future destinations visible long before you actually tread upon them. The emphasis here is on combat, like the opening trench fight to the sister stairwell, or the many ambushes you'll have to endure on your way to the ledge granting access to the level's exit. One particularly large horde is aided along by an invulnerability that allows you to do some rocket punching, which is always a good thing. Wiles never lets you get too comfortable, which is good, or you'd end up catching a revenant missile to the back of the head. 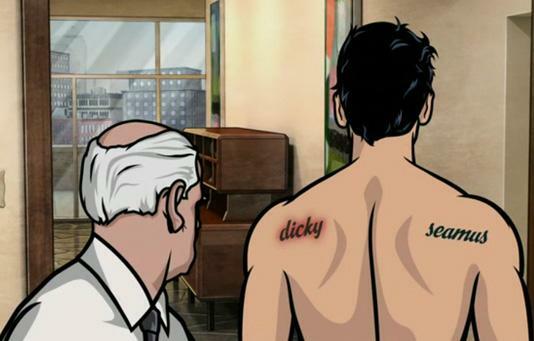 DICKIE was originally conceived as a longer series of maps, with DICKIE09 finishing the first episode. 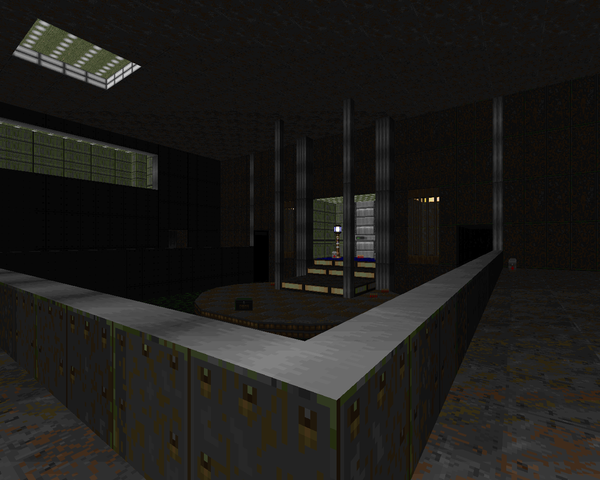 Wiles changed his mind, though, and ended the project with this level. The road to recovery has led you into Hell itself to destroy the foul reactor that powers the demon invasion, its destruction freeing the planet from infernal thralldom. 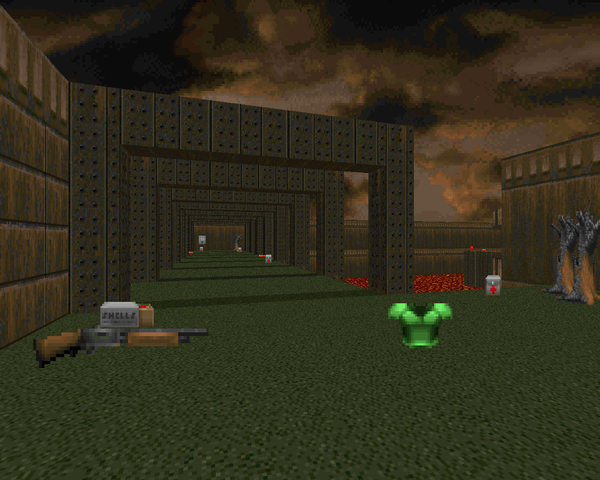 While the map's layout is much simpler than many of the levels that came before, DICKIE10's architecture is a cut above, with some impressive visuals like the eastern burning void or the massive reactor room itself. Combat appears tailored to each particular area rather than the more incidental fights included in previous installments. The reactor area requires good use of cover as snipers on the opposite side will be out of arms range, and that arch-vile crossfire halfway through can be especially deadly. A fine end to a great series. Thanks! Dunno what happened there.